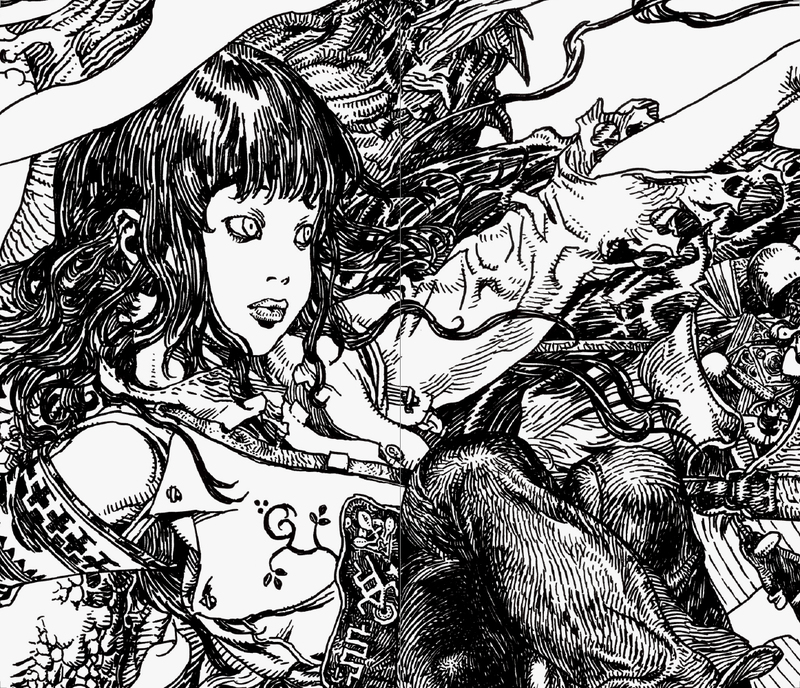 Collection of amazing one-shot drawings using only a black marker by the “Doodle King” Katsuya Terada. 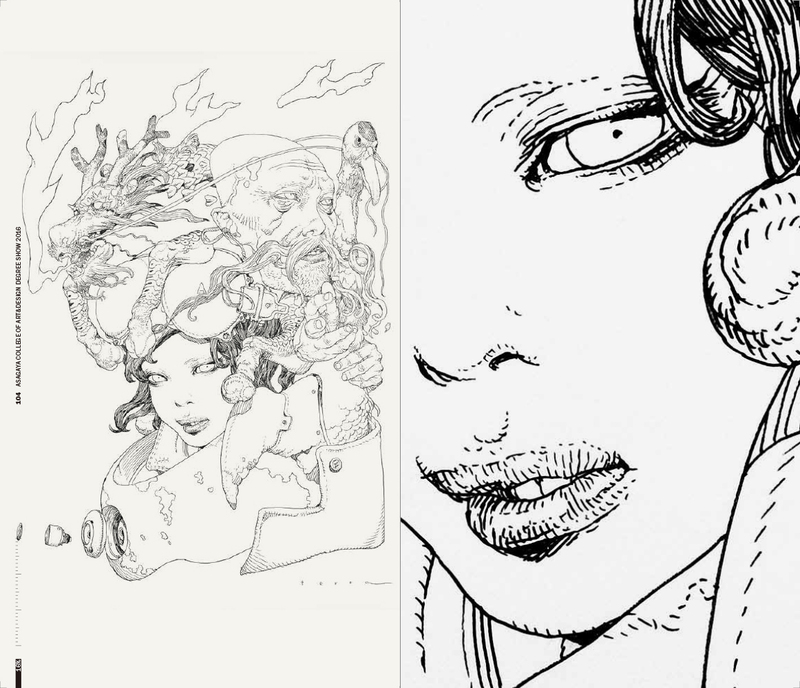 This is the definitive collection of Katsuya Terada’s black marker artworks, which have been displayed at his exhibitions both domestically and internationally, and of course including illustrations from his live drawing events. 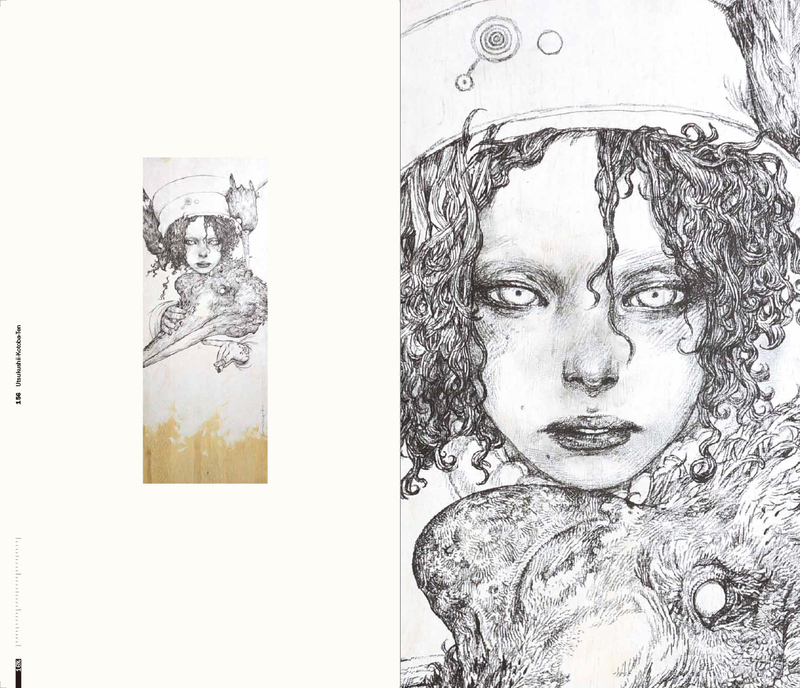 Containing over 150 illustrations, each work is displayed at 16% of the original to show the whole artwork, along with the original size (real size) showing part of the artwork but revealing the detail and sensitivity of Terada’s work. The variety and the scale of these works are overwhelming. 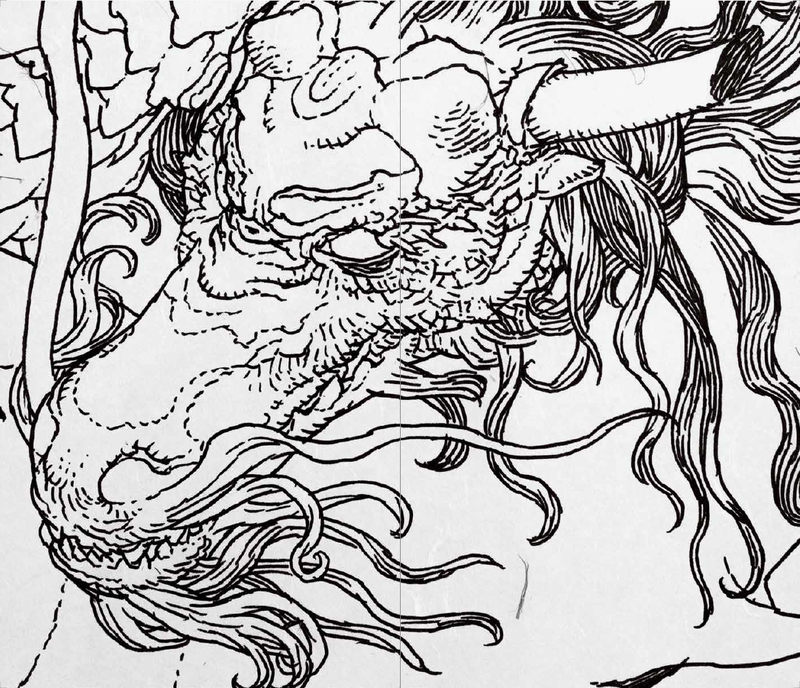 One illustration was so huge it had to be put in a gate fold page in order to make sense of what the drawing might be showing. 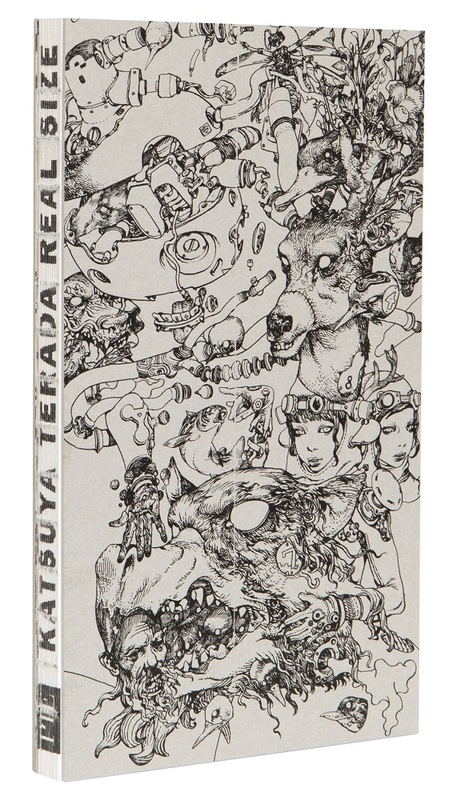 All the artworks were drawn with a black marker and in one shot without any rough drafts, an unbelievable fact that proves Terada’s exceptional talent. 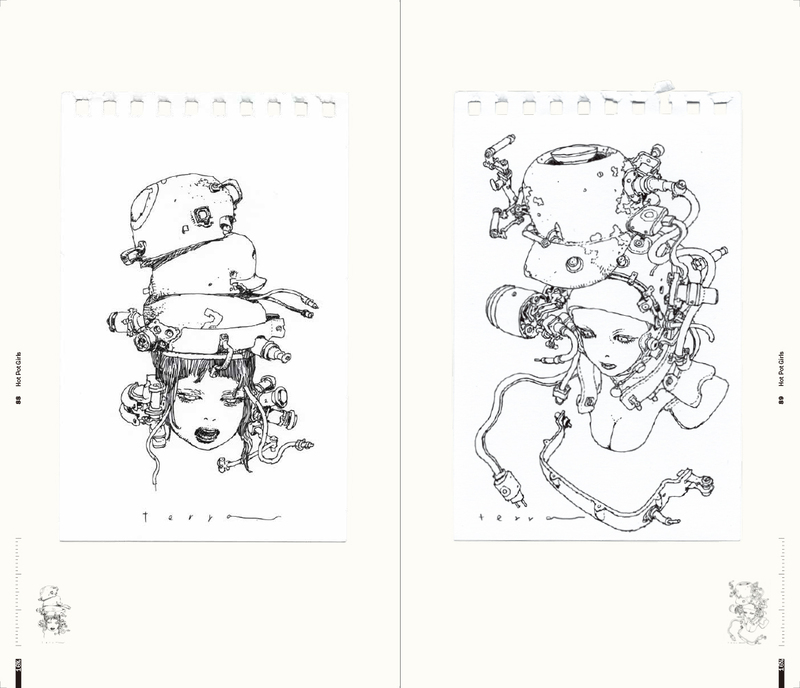 Detailed information for each illustration (artwork title, size, exhibition name, etc.) is listed at the back. The cover illustration was newly drawn for this book. 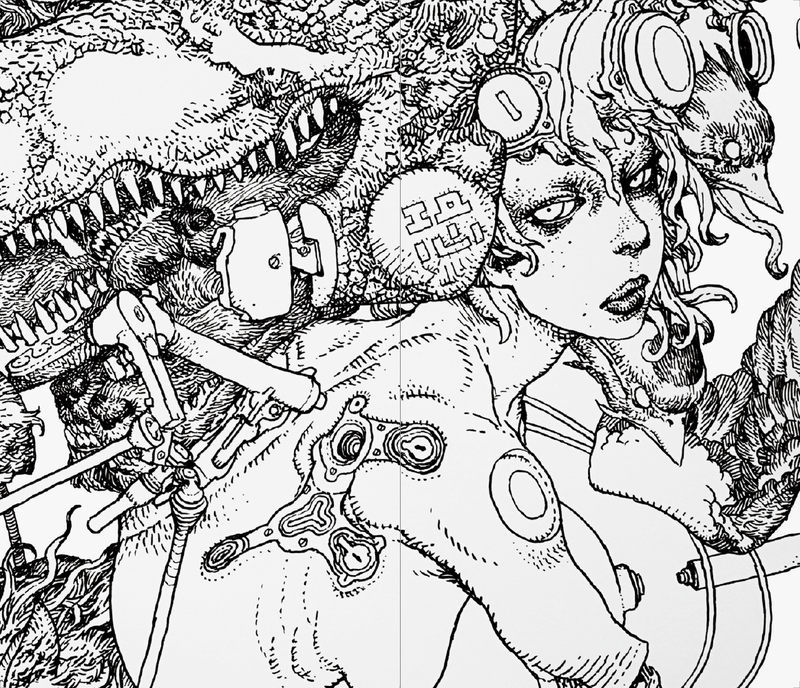 Katsuya Terada, a.k.a. 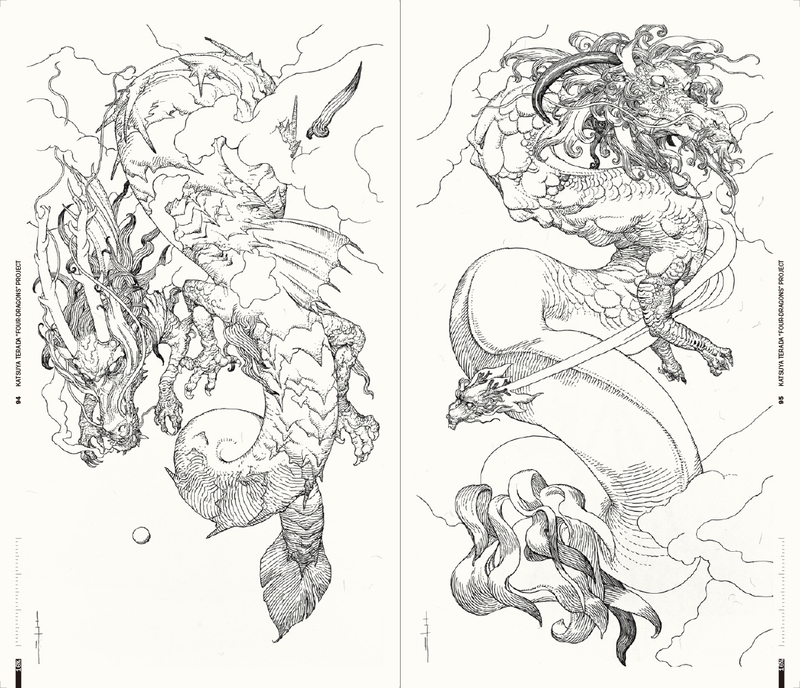 Rakugakingu (or "Doodle King") is a Japanese illustrator who is well known in the US from his work related to Ironman and Hellboy. He likes to doodle a little everywhere he goes and has done many live drawing events where he absorbs himself in drawing on walls. What is amazing is that he does this without doing any rough drafts._Each of his drawings are done in one shot. 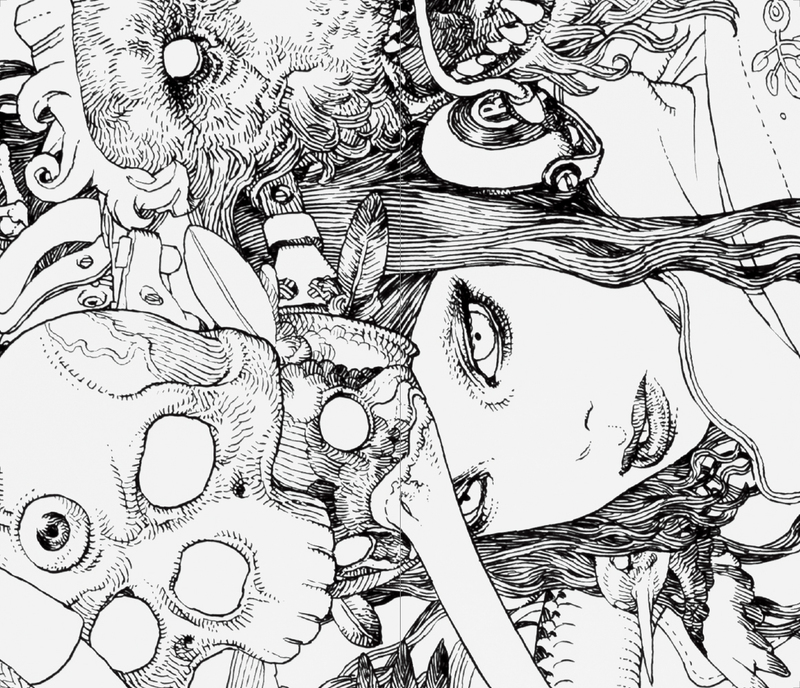 His drawing style is heavily influenced by Moebius and Katsuhiro Otomo. 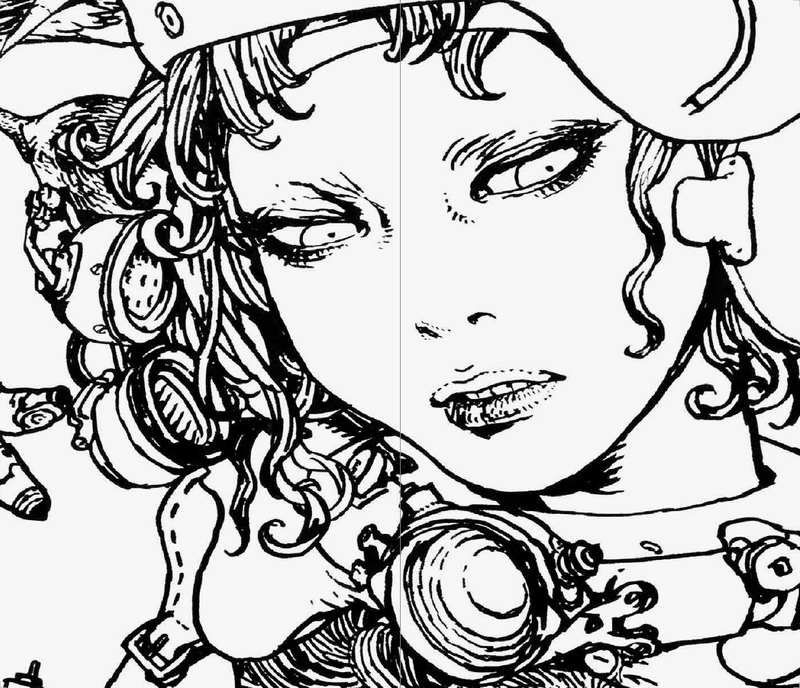 Terada is a versatile genius who has worked in many fields ranging from manga and anime to live-action film and character design. His notable works in character design are Blood: The Last Vampire and Virtua Fighter. © PIE International All rights reserved.